Phone Number - Phone number that was called and unsuccessfully delivered. 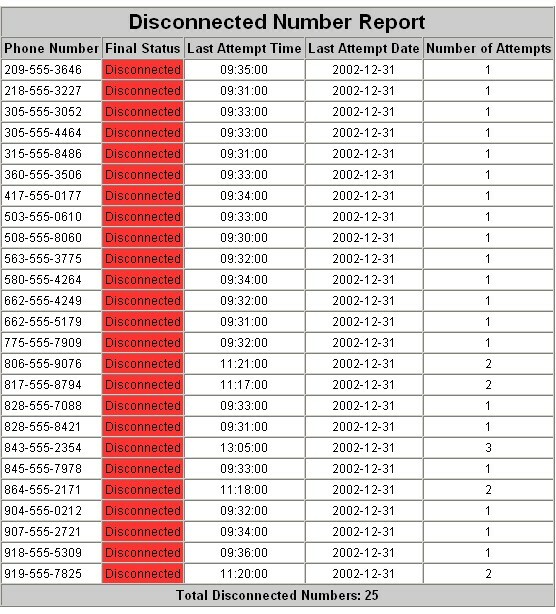 Final Status - Final disposition of each undelivered call (disconnect, etc). Last Attempt Time - Time of day when the last attempt was made to make a call. Last Attempt Date - Date when the last call was attempted. Number Of Attempts - Number of attempts that this bad number was called.